Formulated with Dead Sea minerals, natural pigments and Dunaliella algae, this sheer to medium coverage helps minimize the appearance of pores and imperfectionsTinted by minerals and contains no oils, allows for long-lasting color that strays true all day.Soft focus is a naturally occurring light effect on the skin that lets your complexion express itself with greater clarity. Net Weight: 30 ml/1 oz. Ahava Dead Sea Essentials Aloe Vera Body Lotion 17FL.OZ AHAVA Invigorating Eucalyptus Salt Scrub 7.5 Oz Ahava Night Skin Replenisher 1.7 Oz Dead Sea Essentials by AHAVA Aloe Vera Salt Scrub 7.5 Fl Oz. 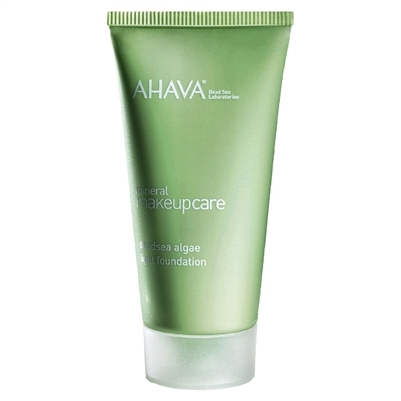 AHAVA Tea Tree Hand Cream 5.1 Oz Ahava Mineral Body Lotion 17 Oz AHAVA Precious Mineral Crystals set: Hand Cream & Body Lotion 1.7 Oz Each Dead Sea Essentials by AHAVA Aloe Vera Body Lotion 3.4 Fl Oz.